Posted on December 4, 2018 by Smorgasbord - Variety is the Spice of Life. Welcome to another selection of christmas gift ideas from the Cafe and Bookstore and some books that explore the darker side of human nature and social injustice. The first is the latest release from Yecheilyah Ysrayl – A novella – Even Salt Looks Like Sugar. 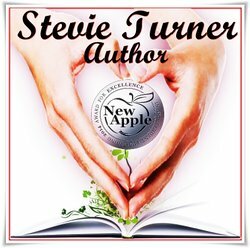 The next author with a wonderfully wide range of books that would make great gifts is Stevie Turner and I am featuring her psychological thriller A House Without Windows. I listened to the audio version of this book narrated by Wendy Anne Darling. I thought Wendy did a very good job. She has the perfect accent for this particular book set in the United Kingdom and I found her narration to be clear and easy to follow. I found this story to be very touching and emotional on two levels. One, because I found the idea of the abduction of a young, professional woman by a patient she had tried to help absolutely awful but also alarmingly possible. Two, the mental illness demonstrated by Edwin in this book strikes a deep cord with me as I have had a few brushes with people suffering from mental illness. 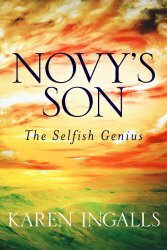 The thought of how parents, either good or bad, impact on and shape the destiny of someone with problems and leanings towards obsessive compulsive disorder and probably autism, as are exhibited by Edwin, together with the fact that his childhood abuse was never discovered or noticed in a country as progressive as the UK is very poignant and sad. 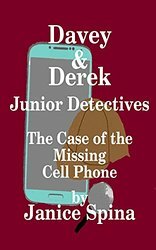 The neglect and physical and metal abuse that Edwin suffered, impacted heavily on his own life and also on the lives of his abductee, Beth, and her entire family. The complexities and enormous difficulties faced by medical practitioners in attempting to treat these sorts of disorders in government facilities without the support of family and friends is also tragically apparent. 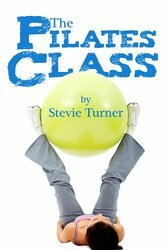 I enjoyed Turner’s style of writing and the use of a children’s book given to Amy, Beth’s young daughter who was born in captivity, to draw parallels between her life, living as a prisoner in a house without windows to the lives of the children in the book who have a lot of freedom, experience boating on the ocean and a great adventure. Amy learns a lot about life from reading this book and it makes her restless and unsettled in her own life. 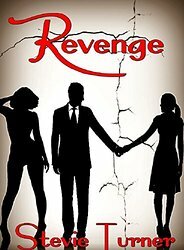 This is a book about a terrible experience by a woman and how it impacts on the man who loves her, her children and her family. The effects of Beth’s abduction are far reaching and last for many years into the future of those around her. History is full of moments when those in power stomped out all mention of magic, but what if the people with such talents teamed up to prevent their elimination? That’s the foundation of Call of the Druids, and I presume The Priestess Chronicles as a whole. The story begins with a young priestess whose bloodline connection to King David of Israel means she’s assigned a diplomatic marriage rather than allowed to follow her calling. She’s trained her whole life to use her gifts from God to fight evil. 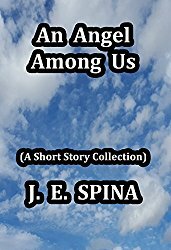 Ariela begs God for another path and the angel Raziel sweeps her away to parts unknown. She arrives in Roman-occupied territory where Celtic clans struggle to protect their few remaining druids and their disappearing culture. While the beginning would be appropriate in any young adult novel, make no mistake. This story delves into the heart of Roman atrocities with their treatment of conquered people, especially women. It also looks at how greed and envy can corrupt a soul. Even without knowing something of the history involved, I had no doubt as to the villains of this piece almost from the moment she lands in a mud-filled alley. Morrigan, a druid, finds and protects Ariela as she overcomes the disorientation of learning she has jumped not just in space but also some 500-700 years in time to offer the druids hope when they’re all but lost. The druid suspects Ariela is more than the young, vulnerable woman she appears, and she’s right. Though trained in battle and magic, Ariela is not alone in the battle against the Roman conquerors either. Beyond Morrigan’s help, she’s joined by two friends in the clan, Culaan and Genie, who stand up for Ariela even while they doubt the truth of her accounting. Druidic power had so faded from the clan memories, even Culaan believes Morrigan nothing more than a mixer of herbs, though her potions are far from simple tinctures. Genie is slower to dismiss the idea, or at least she recognizes the accuracy of Ariela’s accounting of that time. This interest in history is an odd quirk in a woman known as a huntress and tracker extraordinaire. Culaan has his own specific histories, a mystery shrouding his dead mother and the disdain of his father, who is also clan chieftain. Where another could grow bitter, Culaan is good-hearted and looks out for those around him, the image of his father’s relationships with the clan. First, the theme is pretty straightforward, which does not diminish its strength in any way. The destruction of culture and loss of knowledge in the wake of conquer is something I mourn. It is an atrocity repeated all too often in our histories, and one that has echoes down the timeline to modern day, affecting us still. The second, though, is because I was swept into the story and the characters until little else mattered. Do not fear I’ve given away all the interesting parts. The above barely scratches the surface of a complex dance between tradition and belief, honor and greed, and fear versus action. The story has a rotating point of view (POV) that can fall on almost any character in any scene. While this might bother some of you, I suggest you give it a try because I never lost the sense of whose POV I was in no matter how often it moved. This is a well-telegraphed close omniscient voice such that it took me a bit to realize how often it switched. Any other technical issues were minor in comparison to the strength of the narrative and characters as they worked to keep the druidic traditions alive. At one point, the angel charges Ariela to “Save the magic,” but this is no simple task. She has to find and bring supporters around her, learn to navigate new cultures, and help bring faith back to those who have lost their way if she’s to have any chance of living up to this command. Nor is Ariela left unmolested in her efforts. Her first act upon arriving has consequences stretching further than she could have imagined. Fiona Tarr made the story come alive through complex characters with their own concerns and histories to drive them. If you’ve been following my reviews, you’ll know story wins out over anything, but a strong story is more than theme and plot. It’s the people contained within the lines and how they become real to the reader. Call of the Druids succeeds in this admirably. Thank you for visiting today and I hope you have enjoyed the selection… there will be more gift ideas for you tomorrow…still 60 authors left to feature in the Christmas promotions. Posted on November 1, 2018 by Smorgasbord - Variety is the Spice of Life. Posted on May 1, 2018 by Smorgasbord - Variety is the Spice of Life. 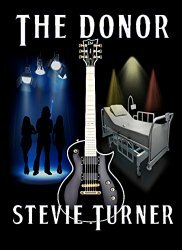 Delighted to showcase the new release of Fiona Tarr. The Jericho Prophesy is the first book of The Eternal Realm. 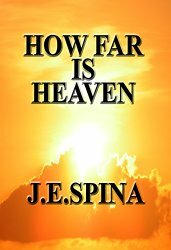 If either bloodline dies, the Host of Heaven will continue to battle for eternity…..
A mad king bewitched by dark magic! This story is based on the bible’s story Saul and David. I am not a religious person but loved the way the author told this tale. 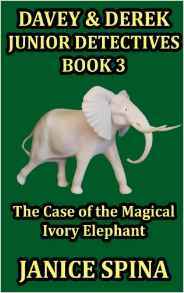 It was an enjoyable read infused with magic and fantasy. An intriguing tale told in a different light that kept my interest to the end. The descriptions and overall writing is brilliant with witchcraft’ sins and good vs evil the story is a great fantasy read! Posted on December 5, 2017 by Smorgasbord - Variety is the Spice of Life. When a dagger of power is forged not even the Smith who crafted it will truly understand its destiny. The Ehud Dagger must find its way into the House of Israel for if the Israelites do not posses it at the appointed time, the forces of darkness will rise. This whole series is worth a 5 star rating. A phenomenal 3rd in this series it blends fiction with Biblical fact & leads you on a journey of epic proportions! But I advise you start at the beginning of this series in order to know the main characters and the basis for the physical & spiritual journey they are on. I certainly hope there will be more of this ilk from this author. My fantasy novels are fast paced, character driven historical stories with strong mystical, spiritual and theological themes mixed with elements of the classic heroic/epic fantasy genre. My writing was first inspired by the heroic fantasy style of David Gemmell, but I have most recently been compared to Traci Harding. Thank you for dropping in today and please help share the news of Fiona’s new book. 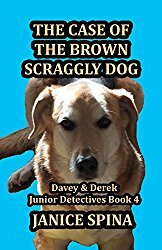 If you have published a book since November 1st 2017 then please let me know. Posted on June 2, 2017 by Smorgasbord - Variety is the Spice of Life. 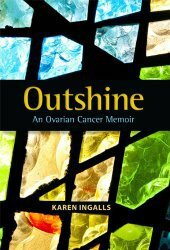 Welcome to the update and we begin with an offer from Karen Ingalls whose book, Outshine: An Ovarian Cancer Memoir is FREE from 4th – 8th June. You can also obtain signed copies direct from Karen for only $2.99 on kareningalls1941@gmail.com. Karen is celebrating nine years clear of cancer and all proceeds go to research into this life threatening and certainly life changing disease. Outshine is an Oavarian Cancer survivor’s memoir full of inspiration and hope. 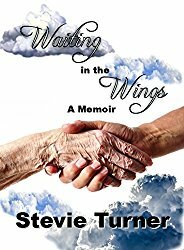 The author shares her journey from diagnosis to cure and the part her strong faith played in that process. This book would prove useful for those suffering from cancer as well as their caregivers and significant others. One line I love is, ‘… attitude, acceptance, and determination are important factors in healing the body, mind, and spirit.’ The writer learnt many life lessons along the way and shares these unashamedly for the reader’s benefit. At the end of the book, the author includes helpful questions, signs and symptoms, and a list of resources. Well written and honest, this is a book that can find a place on any shelf. 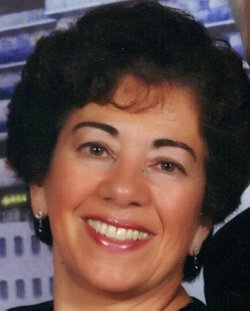 Our next author to update is Janice Spina with her latest children’s book. 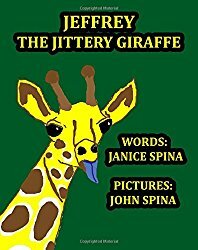 Jeffrey the Jittery Giraffe released a few days ago and illustrated by John Spina. Jeffrey is a nervous giraffe due to a terrible storm on the day of his birth. He remembers that day and is frightened of any kind of noise or unexpected things happening to him. His mother tells him that he is stronger than he thinks. One day Jeffrey meets another giraffe who needs his help. Read this story in rhyme and find out what important lesson Jeffrey learns when he thinks of others before himself. A selection of books also by Janice Spina. 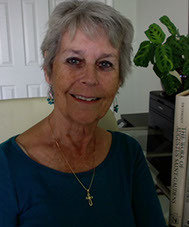 Our next author Fiona Tarr has just released the fourth book in the Covenant of Grace series. First let’s set the scene by looking at Destiny of Kings the first in the series. The beginning of the series – Destiny of Kings – FREE on Kindle currently. The King is going slowly mad, bewitched by the dark magic and seductive powers of the Egyptian Princess. As war breaks out, his trusted General seeks to raise an army and will find a young shepherd boy, bound for greatness. General Martinez grows tired of the fighting and craves retirement until he meets the Priestess and the strange little Holy man who share a prophecy that cannot be ignored. The General must now choose between the life of a young boy and his life long friend and King. Death is inevitable and when it comes, pain will follow….. This is the first book in the Covenant of Kings trilogy. 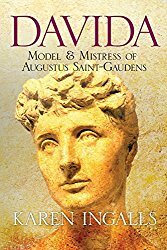 A fast paced Biblical tale of King David, his battle with Goliath and his affair with a married woman, Bathsheba.. Lots of suspense, emotion, witchcraft, revenge and drama. I received this book during a free promotion and voluntarily chose to review it. I really enjoyed this book and think you will also. Egypt is rising, as the House of David is beginning to crumble. A promised betrothal threatens to drive a wedge between David and those closest to him, but that isn’t the real issue. Jezebel can feel her powers returning and when she disappears, General Martinez fears the worst. The Palace is rife with politics and when the plotting is revealed, death will follow….